A lot of research has been done over the past few years about supplemental oxygen and blood pressure, but this year a study was done about the effects of supplemental oxygen on blood pressure in those with obstructive sleep apnea. Studies have shown that OSA (obstructive sleep apnea) is regularly associated with hypertension (or high blood pressure). The researchers’ methods were to switch out overnight CPAPs for supplemental oxygen and see what effects occurred on the morning blood pressure. The results were that supplemental oxygen basically rid any blood pressure rise after a night of sleep, as well as reduced intermittent hypoxia. Intermittent hypoxia is the alternation of normal levels of oxygen (found in earth’s atmosphere, 21% O2) and lower levels of O2. The researchers believe that intermittent hypoxia is to blame for morning blood pressure increases, versus arousals during sleep. We often do not realize how connected our bodies to themselves, that our hearts are connected to our eyes, and our hair is connected to our nails, but what about the lungs and blood? Our lungs take in the surrounding air, and it eventually makes its way into the blood. Our organs constantly need blood and oxygen to function, so when our lungs cannot take in enough oxygen, it is possible for organs to start failing. This can also raise the risk of heart failure, as your heart has to work harder to pump blood throughout the body, as you have low oxygen in the blood, requiring more blood for organs. Pulmonary hypertension is high blood pressure that affects the arteries in the lungs, as well as the right side of your heart. Pulmonary hypertension or PHT is high blood pressure in the heart/lung system,this system delivers fresh, oxygenated blood to the heart, and the used blood (which no longer has any oxygen in it) returns to the lungs to get re-oxygenated. 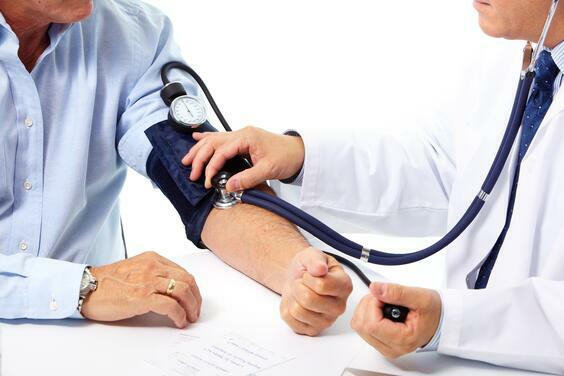 There are two different types of blood pressures in our bodies, systemic blood pressure (which is often taken at the doctor’s office) and pulmonary blood pressure. Pulmonary blood pressure is the pressure the heart exerts to pump blood from the heart through the arteries of the lungs. Pulmonary blood pressure is the pressure that specifically deals with the blood flow to your lungs. Pulmonary hypertension is often diagnosed when the pulmonary blood pressure is higher than 25 mmHg at rest or 30 mmHg during physical activity. Normal pulmonary blood pressure is between 8 and 20 mmHg at rest. Systemic high blood pressure can force the heart to work harder to deliver blood throughout the body. 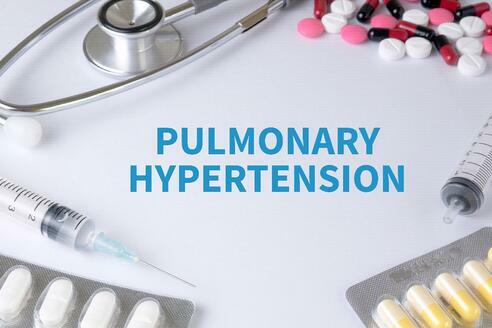 Pulmonary hypertension can cause a more difficult time forcing the blood to the lungs through arteries and can also put a lot of pressure on the heart to deliver the blood to the lungs. If the heart can no longer keep up, or it becomes too weak, it can cause the heart to fail. There are multiple groups of pulmonary hypertension, a total of 5 groups. Each group is related to a handful of conditions, group 1 is associated with HIV, liver disease, connective tissue disease and some autoimmune diseases to name a few. Group 2 is associated with conditions that affect the left side of the heart that can occasionally carry over to the right side of the heart. Group 3 is connected to certain lung and breathing problems, such as COPD, pulmonary fibrosis and sleep apnea. Group 4 is associated with blood clots in the lungs, as well as other clotting disorders. Group 5 is caused by multiple conditions, such as blood disorders, systemic disorders and kidney diseases. No form of PHT is good and though there is no cure, all groups require immediate attention from a medical professional. Your doctor may require a handful of tests before you are able to be put on any medications, as some medications can actually worsen your health versus improve it. It is key for your doctor to figure out your cause of pulmonary hypertension before they decide to prescribe any medications, as it may not be the right medication for your needs. While you discuss medications with your doctor, discuss over the counter medications that you may take, as some can worsen your symptoms instead of helping you. It is also possible that you have excess fluid buildup in your feet and ankles, so if you notice that make sure to tell your doctor, you may get prescribed medication that can help. For those with severe pulmonary hypertension, a lung transplant may be done for those with severe PHT and lung diseases, but the heart has no issues with function. For those with severe pulmonary hypertension with lung and heart diseases, both the heart and lungs may be transplanted. Like many illnesses and diseases, there are support groups for those with pulmonary hypertension, so contact your doctor or local hospital to try and find a good group that will work for you. There is not one cause for PHT, as many things can play a role in PHT, such as COPD and heart disease. Speak with your doctor if you have a family history of pulmonary hypertension or are noticing symptoms of it, as they can help diagnose your symptoms and determine the best plan for your health.